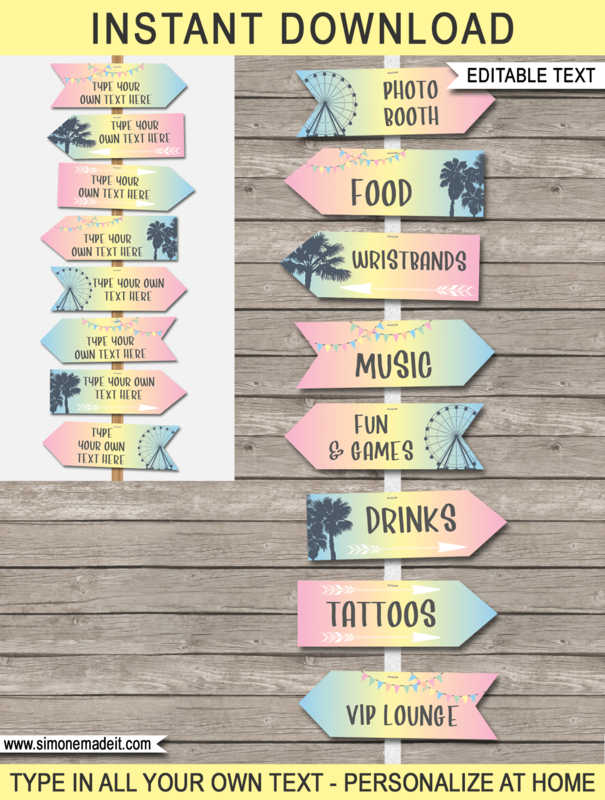 Instantly download these fun Coachella Themed Party Directional Signs in the shape of arrows! Download your Coachella Themed Party Directional Signs immediately after your payment has been processed. Trim out your Coachella Themed Party Directional Signs and assemble by placing above each other on a pole/stick, wall or tree.